CNN today announced a new primetime lineup that continues to build on the network’s strategy of offering both live, breaking news programming as well as quality, original series, CNN Films and in-house documentaries. As part of the announcement, the network is bringing Mike Rowe (Dirty Jobs) back to series television, in a new program called Somebody’s Gotta Do It. In addition, proven television personalities John Walsh (America’s Most Wanted) and Lisa Ling (Our America with Lisa Ling) will also join CNN, with their own new, original series. CNN will also premiere The Jesus Code, which will take viewers on a forensic and archaeological journey through the Bible. And CNN announced that the ten-part original series The Sixties, from Playtone and acclaimed producers Tom Hanks and Gary Goetzman, will premiere in late May. 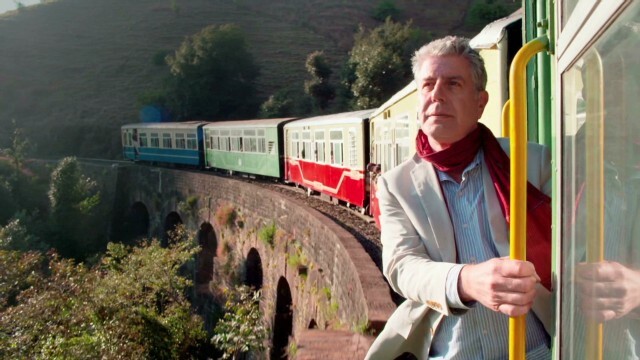 The network also announced that its Peabody and Emmy-award winning hit Anthony Bourdain Parts Unknown has been picked up for an additional four cycles in 2015 and 2016 and its critically acclaimed series Morgan Spurlock Inside Man has been renewed for another cycle in 2015. CNN has also entered into a development deal with the producers of Chicagoland to tell the story of another great American city. All of those original series, plus a weekly documentary from CNN’s in-house documentary unit, will air at 9pm, ET beginning this summer. That primetime lineup will begin with Erin Burnett Outfront at 7pm ET, followed by Anderson Cooper 360 at 8pm ET. The 9pm, ET hour will be the new home of CNN’s Original Series, CNN Films and the network’s in-house produced documentaries like Dr Sanjay Gupta’s Weed and Anderson’s Cooper’s The Survivor Diaries. Over the last year, CNN’s four most-watched series have been Anthony Bourdain Parts Unknown, Morgan Spurlock Inside Man, Chicagoland and Death Row Stories. At 10pm, ET CNN will debut a one-hour news program called CNN Tonight, a live hour of the day’s biggest stories, with rotating hosts anchoring the program. Craig Piligian’s Pilgrim Studios produces a wide variety of unscripted and scripted programming for television, including the series Fast N’ Loud and Street Outlaws for Discovery; Ghost Hunters for Syfy; The Ultimate Fighter for FOX Sports 1; Only in America with Larry the Cable Guy and Down East Dickering for History; Orange County Choppers and Swamp Pawn for CMT; Welcome to Sweetie Pie’s and Raising Whitley for OWN, as well as OWN’s much buzzed about Lindsay Lohan docuseries, Lindsay; David Tutera: Unveiled for WEtv; Wicked Tuna and its recently announced spin-off, Wicked Tuna: North vs. South, both for National Geographic Channel; and Bring It! for Lifetime. The company also produced the two-hour movie Megaladon: The Monster Shark Lives for Discovery’s Shark Week, which became the highest-rated and most-watched telecast in Shark Week’s 26-year history, delivering 4.8 million viewers and a 2.6 A25-54. In the scripted realm, Pilgrim’s original movies for Lifetime include Amanda Knox: Murder On Trial In Italy; Abducted: The Carlina White Story, which earned a 2012 NAACP Image Award for Outstanding Writing In A Motion Picture; and the crime thriller Stalkers. Pilgrim’s current scripted projects include the pilot Recovery Road for ABC Family, and a mini-series for Spike about the 2012 terrorist attack on the American diplomatic mission in Benghazi, Libya. Since its inception in 2007, part2pictures has blazed a trail in the industry by producing over 100 hours of innovative, critically acclaimed and highly rated television series, specials, and feature documentary films. From the epic to the intimate, from deep access to hidden worlds and adventures to every corner of the earth, part2pictures tells stories with a fresh perspective and deep a commitment to quality and craft. Their work has been nominated for nine Emmy awards and been honored with four Cines, two Emmys, a Gracie Award, and a Jury Prize for Cinematography at the 2011 Sundance Film Festival. Part2 pictures has continued to broaden its reach, embracing a wide variety of genres, infusing every production with our own unique brand of story-telling. Zero Point Zero Production, Inc. is a television and digital production company founded in 2003 by Executive Producers Chris Collins and Lydia Tenaglia, with partner and Managing Director Joe Caterini coming aboard in 2009. Since its inception, the company has produced hundreds of hours of television in over 90 countries around the world, including the three critically acclaimed and Emmy Award, Peabody Award, and PGA-winning series, Anthony Bourdain: Parts Unknown (CNN); Anthony Bourdain: No Reservations (Travel Channel); and Diary of a Foodie (PBS). In 2009 Zero Point Zero began an expansion into other content platforms including interactive entertainment and publishing. In 2012 they released Pat LaFrieda’s Big App for Meat, an interactive encyclopedia chosen as Apple’s “App of the Week” and then named Apple’s “Best APPS of 2012”. In 2013 ZPZ acquired The Food Republic website, one of the launch properties in a new ZPZ-owned digital publishing venture. Other digital projects include branded content for Subaru, Microsoft/BING, TUMI, Weston and Breville. ZPZ is currently in production on Anthony Bourdain: Parts Unknown season 3 (CNN); The Hunt with John Walsh (CNN); City.Ballet season 2 (a co-production with Sarah Jessica Parker/Pretty Matches for AOL On Originals); the two award winning series, The Mind of a Chef season 3 (PBS) and MeatEaterwith Steven Rinella season 4 (Sportsman Channel); and The Getaway season 2 (Esquire/NBC). Founded by Jane Root, former President of Discovery US and Controller of BBC2, Nutopia is known as the creator of the mega-doc. Shows include the Emmy-winning America The Story of US, Mankind the Story of All of Us and The British. The Story of Us format is now being made throughout the world with Australia: The Story of Us in production and series planned in Brazil, China and Korea. Other mega-docs include How We Invented the World for Discovery and The 80s: The Decade that Made Us for National Geographic. Nutopia are currently in production on The 90’s: The Last Great Decade?, How we Got to Now with Steven Johnson for PBS and BBC and new projects for A&E, ITV, Syfy, Travel Channel and Esquire.